Tech lovers are pretty insatiable in their quest for the newest gadget, and that can make them pretty hard to shop for if you’re not regularly browsing trade magazines. To help you find the perfect gift for your geeky loved one, we’ve compiled this list of the best smart products to use around the home. This nifty tech paraphernalia will definitely get you on the ‘Nice’ list—and it may just convert you to a tech nerd in your own right. Here’s what to shop for this year. Making the rounds on tech sites for the best home automation products for 2016 is both the Amazon Echo and the Samsung SmartThings Home Hub. The Echo is so much more than just a speaker. It’s effectively a portal to the whole Amazon universe. 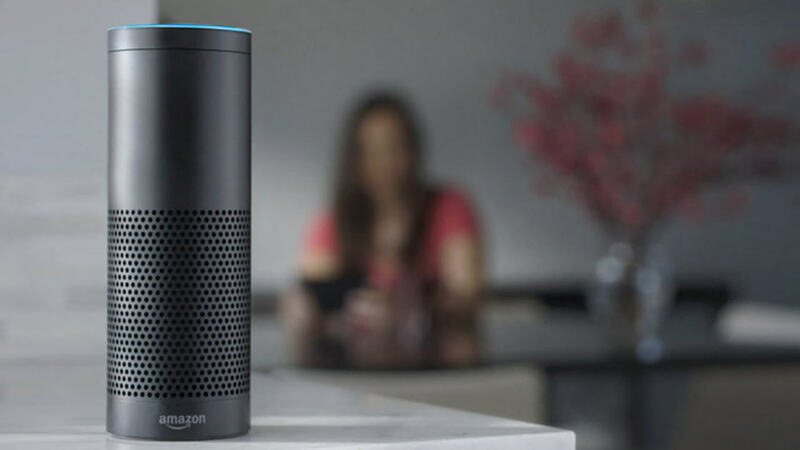 Voice commands can not only turn on your stereo, but also tell you the weather and the score of the game, and get a pizza delivery on its way in just a few seconds. The Echo connects to SmartThings, Belkin WeMo, Insteon, and Philips Hue, so you can have Alexa manage a whole host of home devices, from your lights, to your stove, to your locks. Samsung’s appeal is largely based on its ease of connectivity—it’s compatible with not only Smart-things products, but also a wide range of additional devices, including products from Bose, Philips Hue, and Sonos. It also integrates with Samsung’s newest TVs, making that one more thing you can control wirelessly. Plus, at $99, it’s a lot cheaper than most systems. The “sous vide” method of cooking is where tech nerds and chefs overlap. This technique involves sealing foods in plastic and cooking them in an immersion bath, which creates dishes with highly technical perfection—and it makes every meal feel like you’re performing a science experiment. The WiFi-connected ChefSteps Joule can heat water with a precision of 0.1 to 0.2 degrees Celsius. The whole device is controlled via an app on your phone, which makes it feel extra futuristic—and with its small size and sleek body, it definitely fits the part in terms of looks. Want to use technology to monitor your pet while you’re not at home? The Petzi Treat Cam, a WiFi-enabled camera system, comes with its own app that lets you view streaming footage of your furry friend—and distribute treats while you’re out of the home. It’s super fun to use and makes you feel connected to your canine while you’re away, but it may not be that great for your pet’s diet—or your productivity at work! Know someone who needs to control every last detail of their lives, right down to the lighting? Well, Philips Hue Bulbs may be for them! They let you manage the intensity and hue of every light in your home, and they’re compatible with tons of different home operating systems. And as LED lights, they’ll make your home more efficient, too. Talk about control! 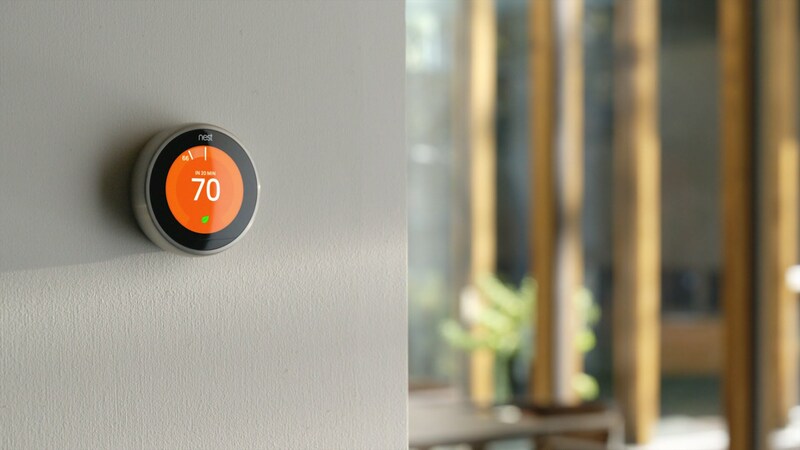 Nest’s newest generation of thermostats, the Nest 3.0, continues their reign as one of the best smart HVAC products out there. Friends that are fresh to the world of homeownership will be delighted by its flexibility and ease of use, which has earned it a spot on tech “Best Of” lists for yet another year. The new device can be controlled with “OK Google” commands, while keeping all of the intelligent rules and automation of the original model. A touch screen mounted directly into the fridge door? Tell me that isn’t living the dream! That’s exactly the appeal of the Samsung Family Hub Refrigerator. Not only does that touch screen offer a spot for notes, grocery lists, and schedules, it also lets you listen to music and watch TV while you cook. Cameras inside the fridge take pictures of your supplies so you’ll never have to wonder whether you need milk again. What’s better than the gift of more time? While robotic vacuums certainly aren’t anything new, the iRobot Braava Jet 240 not only vacuums, it can mop, too! In fact, it even does dry sweeps. Pretty much everything you need to keep your floors grit-free in 2017, it makes a great choice for the tech nerd who’s heavy on cleanliness, but short on time. These great gifts are sure to keep your tech nerd happily occupied—at least until the newest gadget comes out!